What Goes On Behind the Scenes of Creating a Successful Mobile App? Today, we are living in an era of mobile phones. They are not just the means of entertainment for us but a requirement for most adults. With the advancement of technology, the use of smartphones has accelerated. And most of the time, users are interacting with one or the other mobile app for sending messages, socializing, reading calendar, checking emails, setting schedules and alarm, watching movies and playing games. Well, mobile apps do simplify our daily lives to a great extent. But do you know what level of lot teamwork and precipitation it demands? Well, developing a mobile app from scratch is not at all easy and a lot of things go behind the scenes of creating a successful mobile app! Let’s see what goes on around making an app successful. In this modern age, we see a lot of companies in the business of developing mobile apps and games. Living up to the cut-throat competition and making firm roots in the market is not easy for most of them. It demands innovative app development to stand out from the rest. When it comes down to building an app, the CEO of Barometer, Rishabh Vyas believes that it is important to understand the logic of the app first. What does the app intend to do? If this is clear, then the app will be more robust and efficient to serve its purpose. He also says that it is similar to the doctor giving medicines. The clearer problem is; the better diagnosis can be done. Well, this is the most challenging part of developing an app and it also demands a high level of perfection to launch a successful app in the market. Developers need to be good with their skills or else it will create chaos. Adding to the logic part of an app, Rishabh Vyas also says that coding can sometimes turn complex when developers don’t know what to code. The situation becomes worse when he/she keeps on adding layers of code one after the other only to make to more complex. Thus, it is important for them to understand and analyze the requirements thoroughly and then start with coding. Automation testing and quality assurance are two important steps of the app development process. Without having assured on the quality of app built, it cannot make up to be a successful one. The same is emphasized by the Director and Co-Founder of pCloudy, Avinash Tiwari. Who says that quality assurance is the key to any successful app in this age of device fragmentation. Hear it from the mouth of experts and they say that consumers that very little patience for bad mobile app experience. This is the reason why 40% of the downloaded apps get uninstalled within two to three weeks of use. In this case, it is necessary to understand the app development ecosystem and stay abreast with the latest OS versions as well as the market trends. By doing so, the developer can come up with an active solution for platform related problems. 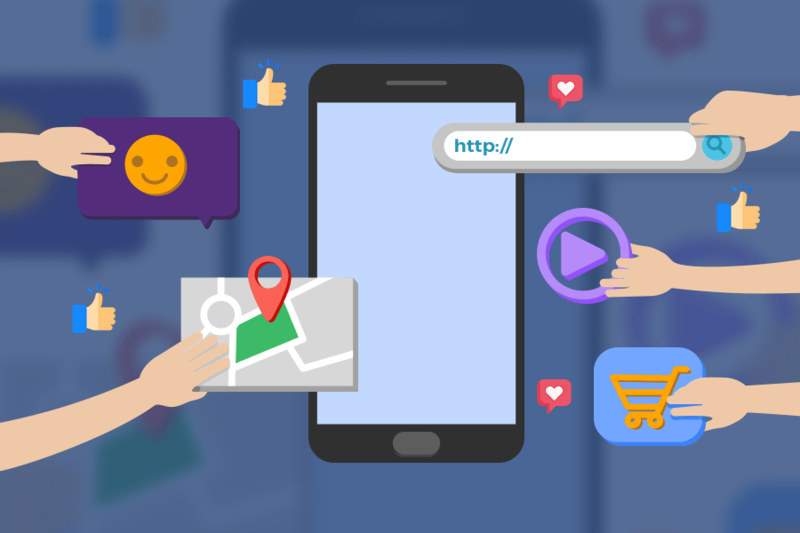 According to the CEO of Apps Discover Technologies- Ashish Bahukhandi, the success of an app depends solely on the features and interface provided to its users. And we cannot deny on this. After all, an app is intended to fulfill some purpose; to provide some features and what if it fails to fulfill that very same purpose?! It is important for any app development company to provide value to its users through their apps. Bahukhandi goes on to say that a successful app is the one that gives hassle-free experience and a digital insight helps in creating the best user-interface to achieve best user experience. By far, it is an understood thing that developing a successful app requires hard work and dedication of some great minds. We have seen so many wonderful apps in the past and shall continue to see many more in the future. So, now we all know what goes on behind the scenes of creating such wonderful apps! Older How to Rank Your Mobile App and Increase Visibility?